This article here describes about how to send a message from Airmail to create a new note in Bear. Bear is a simple and elegant tool to organize your notes. Airmail adds the Bear integration to let you create a new note for the message that you send to Bear. 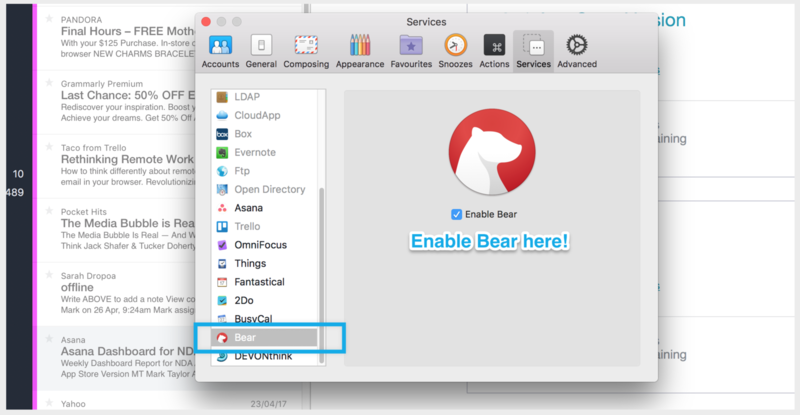 How to enable the Bear integration? How to send a message to Bear? How the message will display in Bear?